As today marks the last day of Sepsis Awareness month, we wanted to take this opportunity to discuss how real-time location systems (RTLS) can reduce the risk of healthcare-associated infections (HAIs). As technology advances and process improvements are made, facilities are implementing new ways to gain greater visibility into their healthcare systems. Innovative, automatic, and cost-effective solutions like real-time location systems (RTLS) can be a valuable tool in further decreasing the burden of HAIs and the spread of other infections. By badging healthcare workers, patients, visitors, and equipment, the activity of a single hospital room can be tracked. For example, an RTLS would be able to demonstrate (1) whether or not a healthcare worker washed their hands upon entering a room, (2) the time at which they interacted with a patient or equipment and (3) if they washed their hands after the interaction before moving to the next patient room. True compliance rates are calculated by not only reporting on the number of interactions (the numerator) but also the total number of opportunities for which hand washing should have been completed (the denominator). By using this data, hospitals can audit hand hygiene processes, reduce the spread of unnecessary infections, improve patient outcomes, and lower costs. While this use case for RTLS attempts to solve one very important aspect of disease transmission in healthcare facilities (patient-provider transmission), decreasing incidents of HAIs is a multi-component effort as infections can also spread by patient-equipment contact and even via patient-visitor contact. 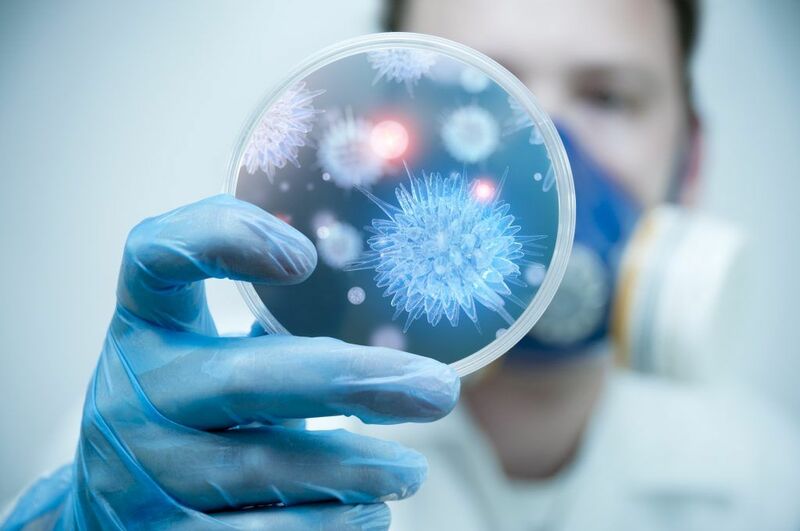 Tracking and managing surgical trays and medical scopes, ensuring proper air differentiation, monitoring patient interactions, and accurately distinguishing between clean and soiled equipment are all critical aspects of preventing the spread of infection in a healthcare environment. RTLS improves efficiency because of the data it can generate. Unless you have an army of people with clipboards looking at things 24 hours a day, RTLS is the only thing that can provide real-time visibility and that’s a fundamental component to getting HAI numbers down. By monitoring data and tracking patients, staff and medical equipment, facilities can identify who or what might have come in contact with an infected patient, giving them better tools to manage infection control and prevent serious outbreaks of communicable diseases. Both hospital leaders and the general public can have peace of mind knowing that immediate action can be taken to keep the public safe. Clinical-Grade RTLS technology provides the required precision and rapid update speeds that are able to achieve room, bed, bay, and even shelf-level tracking.5 It is also resistant to the line-of-sight constraints that have plagued legacy technologies and has the added benefit of being fully waterproofed – an increasingly important requirement for asset and patient tracking deployments where infection control is a concern. Scopes must enter the initial stage of the reprocessing cycle (rinse and manual brush) within 1 hour of use. If reprocessing does not occur promptly, foreign matter has a chance to set and harden, thus increasing the chances of not being properly removed during cleaning. Utilizing active RTLS, alerts can be provided to SPW/Scope Reprocessing staff immediately after a scope is used and placed into a soiled area so that reprocessing can quickly commence – ensuring proper disinfection. A customizable second alert can be generated if the scope remains in the dirty area for more than a predefined number of minutes (as set per the facility’s protocol). Additionally, even if a scope has been reprocessed and hasn’t been used, it can only be stored for 3-12 days before needing to be reprocessed again. RTLS can help to ensure scopes approaching the 3-12 day storage limit are used vs “expire.” Automatically identifying which devices should be prioritized maximizes clinical workflow and reduces unnecessary and destructive reprocessing. When used in conjunction with RTLS technology, asset tags that are capable of withstanding high-pressure washing and harsh disinfection chemicals enable healthcare facilities to easily and safely monitor their mobile medical devices. Overall, Clinical-Grade RTLS has been shown to provide medical centers with the ability to mitigate the spread of HAIs and other infections – saving lives, decreasing overall cost, and increasing reimbursements. To learn more about Infection Control Solutions from CenTrak, please download our brochure. Health Care-Associated Infections Fact Sheet. World Health Organization Web Site. http://www.who.int/gpsc/country_work/burden_hcai/en/. Copyright 2015. Accessed June 30, 2015. Preventing Healthcare-Associated Infections. CDC Web Site. http://www.cdc.gov/washington/~cdcatWork/pdf/infections.pdf . Accessed August 18, 2014. Sax H, Allegranzi B, Uckay I, Larson E, Boyce J, Pittet D. “My five moments of hand hygiene”: a user-centered design approach to understand, train, monitor and report hand hygiene. [abstract] J Hosp Infect. 2007;67(1):9-21. Three Winning Ways Improve Patient Care With IT. Hospitals & Health Networks Web Site. http://www.hhnmag.com/Magazine/2015/Aug/most-wired-innovator-award-winners. Accessed August 20, 2015. What is Clinical-Grade Visibility. CenTrak Web Site. https://www.centrak.com/clinical-grade-locating/. Accessed August 20, 2015. Kovaleva J, Peters FTM, van der Mei HC, Degener JE. Transmission of infection by flexible gastrointestinal endoscopy and bronchoscopy. Clin Microbiol Rev. 2013;26(2):231-254. Eisler, P. (2015 September 15). Probe of superbug-tainted medical scopes grows to include cleaning machines. USA TODAY Web Site. Retrieved from http://www.usatoday.com/story/news/2015/09/15/probe-superbug-tainted-medical-scopes-grows-include-cleaning-machines/72316990/ Accessed September 29, 2015.